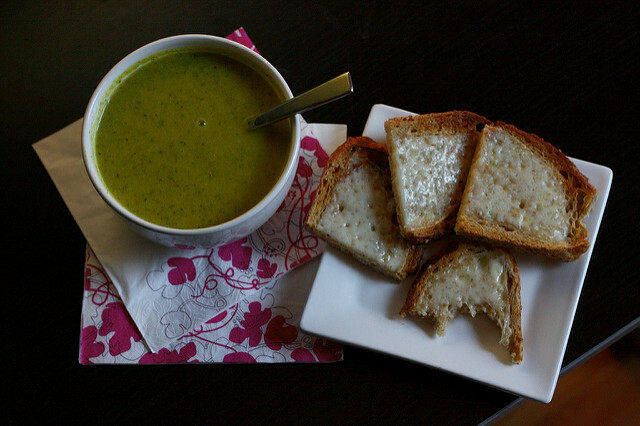 Share the post "Zingy and Zesty Zucchini Basil Soup"
Be sure to add zucchini to your grocery list, because a zucchini soup recipe is easy, tasty, and healthy. 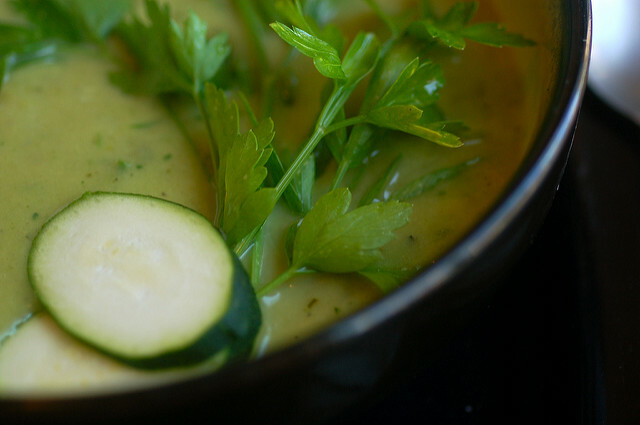 By incorporating herbs and extra vegetables, you can add more flavor and zing to your yummy zucchini soup recipe! Enjoy these two variations that we have for you, and have fun making them a part of your meal. These soups can even be a light lunch or supper when you pair them with a crusty baguette. If you thought you had to slave over a hot stove for hours to make an incredible soup, think again! This delicious recipe calls for simple ingredients and easy preparation, yet it delivers a flavorful kick that is perfect for busy weeknights. In a large pan, heat the oil or butter; add the leeks and cook for 5 minutes. Add garlic and cook 30 seconds. Pour in the broth and the zucchini; season with salt. Boil the soup, then simmer for 3-4 minutes to soften zucchini. Add in the spinach and basil. Take the soup off the heat; let it sit 5 minutes. Divide the soup into serving bowls; add roasted vegetables, herbs, and quinoa. Serve. A great choice for the warmer months, this soup makes use of any surplus courgettes while keeping you satisfied. Try mixing it up with tomato chutney and a variety of cheese substitutions. In a large saucepan, heat the oil, garlic, courgettes, and basil for 10 minutes; season with salt. Pour in the broth and simmer for 10 minutes. Use an immersion blender (or work in batches with a food processor) and puree the soup. Reserve a bit of the courgettes for a chunkier texture. Pour the soup back into the saucepan; stir. Bring to a simmer again; add in the cream, parsley, and Parmesan; stir. Season with salt and black pepper, divide into serving bowls. Top with Parmesan; serve.